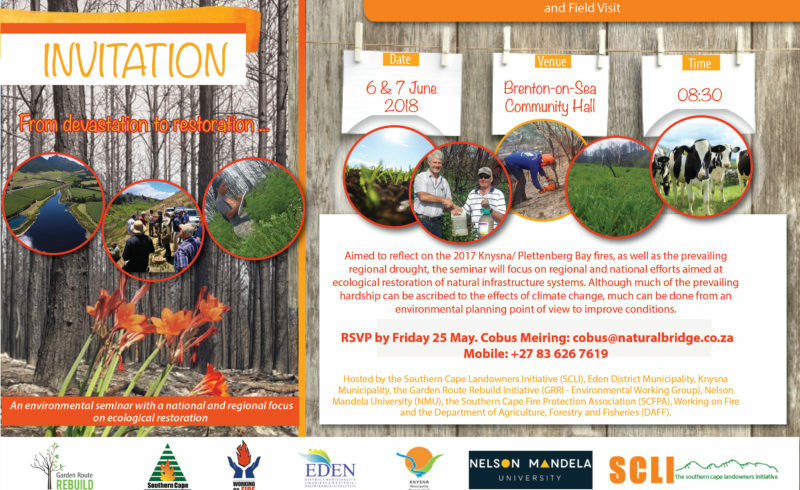 The purpose of the 2018 Garden Route Environmental Restoration Seminar is to revisit the devastation caused by the fires of June 2017, reflect on the actions taken to address environmental restoration and consider the challenges for avoiding such environmental tragedies in the future. 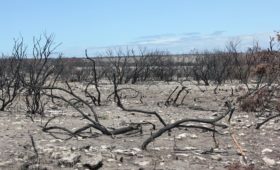 The Knysna fires devastated land cover and caused personal hardship and tragedy for many residents of the area. 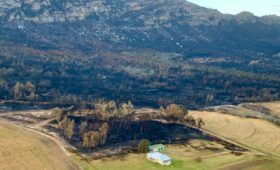 The fires triggered the largest ever financial contribution from disaster management authorities in South African history. 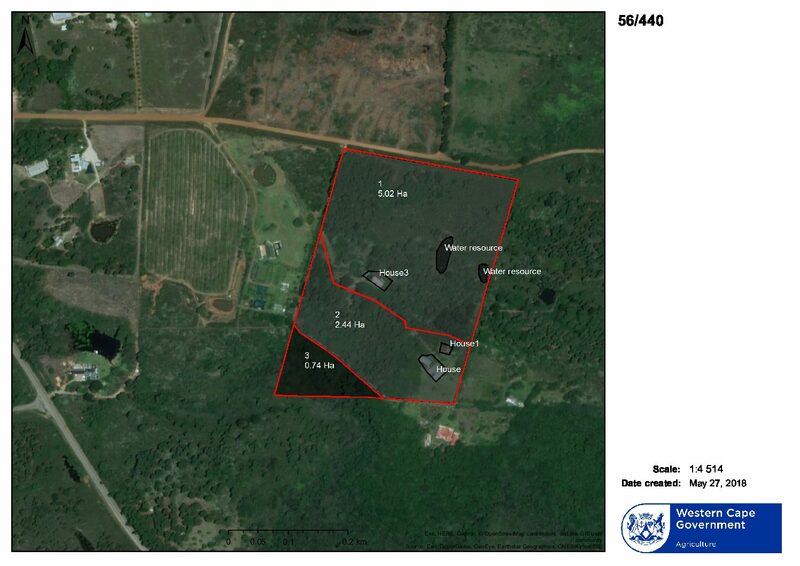 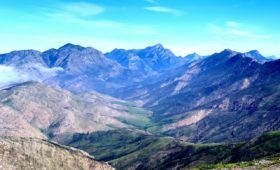 The Garden Route Rebuild Initiative (GRRI) Environmental Working Group, tasked with implementing a large-scale rehabilitation and restoration effort, will use the seminar to engage with relevant national, regional and local stakeholders and landowners in achieving the purpose of the seminar.